Anyone help me, dish setting for eutelsat 70b. Please add Kannada Channels aswell!! Will this work in 60CM antenna? Pl I request to you that you added in Chanel star bhara and sonypal. Can you please add Sony sab and sony max or Colors. 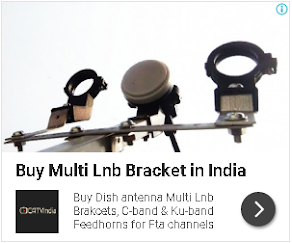 Kindly confirm ABP Majha was available on free dish ?? Plz add you.dd free dish pai.hinde latest movie chanel. This channel list not use full for childs. so Plz add some channel s for children's. like Sony Pal, Sab TV, Rishtay. Kindly Add discovery,Animal Planet And All News Channels Of Regional Language With All Regional Indian DD Channels. Give process to fit dish.